​​Gallaher’s strategic partnerships with Amano & Continental Access allows for scalable, dynamic system architecture solutions that can satisfy both single door applications up to global enterprise solutions. 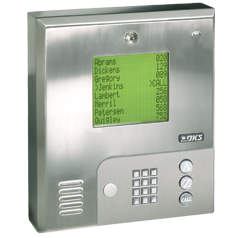 For applications requiring limited access to a property, Gallaher provides DoorKing gate access control systems and numerous perimeter technologies to detect threats and reduce intrusions. The Continental CA3000 provides an access solution for broad range of markets including education, healthcare, business, transportation, and government. Amano's biometric integration, that includes central enrollment of fingerprints and intelligent distribution of templates to readers, resides in our Nexus220 and AmanoNet access control systems.